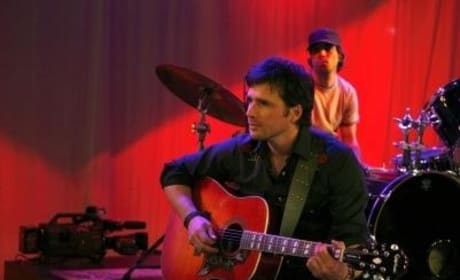 That's what happens in this photo from "Woman on the Verge," from the first season of Gossip Girl, and for the whole episode. 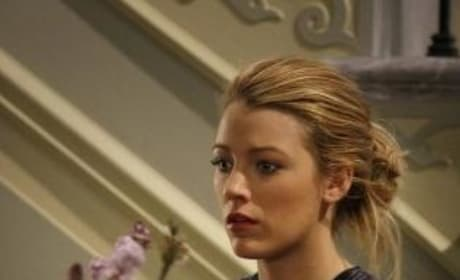 Blair, Chuck and Nate put their differences aside to help Serena. 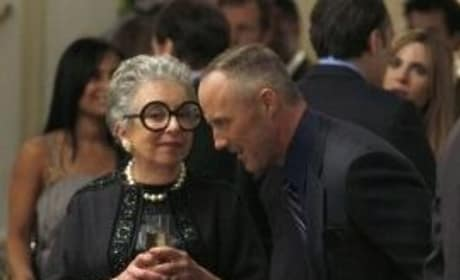 In this photo from "Woman on the Verge," from the first season of Gossip Girl, Bart Bass prepares to marry Lily van der Woodsen... but she's elsewhere. Will this union go off without a hitch? 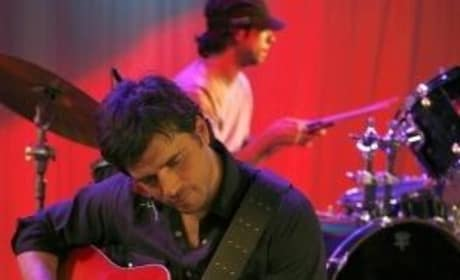 In this photo from "Woman on the Verge," from the first season of Gossip Girl, Rufus and his band, Lincoln Hawk, perform at a Rolling Stone-sponsored concert. He does well, we have to say! 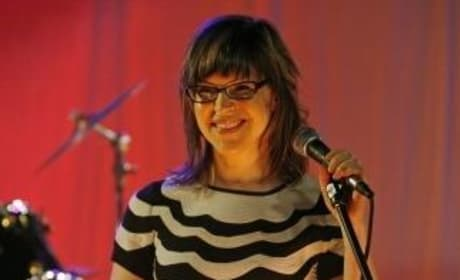 In this photo from "Woman on the Verge," from the first season of Gossip Girl, Lisa Loeb guest stars as herself as host of a concert Rufus performs at. Everyone is out to find Georgina in photo from "Woman on the Verge," from the first season of Gossip Girl. But will they get to the evil one in time? 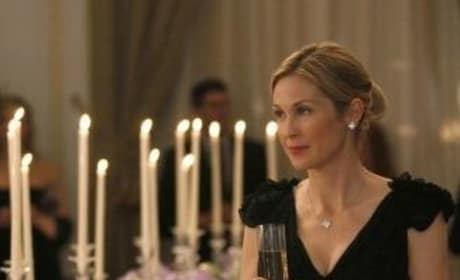 In this photo from "Woman on the Verge," from the first season of Gossip Girl, the beautiful Serena is on the verge of a collapse. Fortunately her friends help her hold things together this time around! 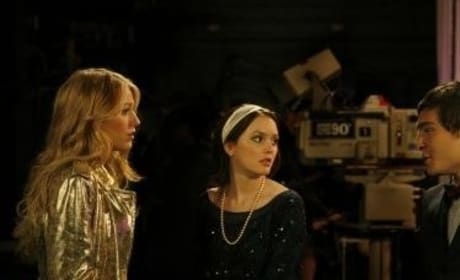 In this photo from "Woman on the Verge," from the first season of Gossip Girl, Lily is preparing to marry for the fourth time - but more importantly, she's about to bond with her daughter Serena for the first time in awhile, albeit under odd circumstances. In this photo from "Woman on the Verge," from the first season of Gossip Girl, Dan is about to fall victim to Georgina's charms. Will Serena find out - or forgive him once she does? 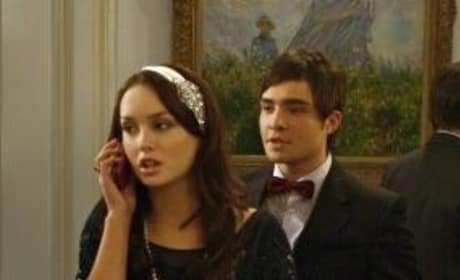 In this photo from "Woman on the Verge," from the first season of Gossip Girl, Chuck and Blair (aka Chair) are out to avenge Serena. Their target: Georgina. 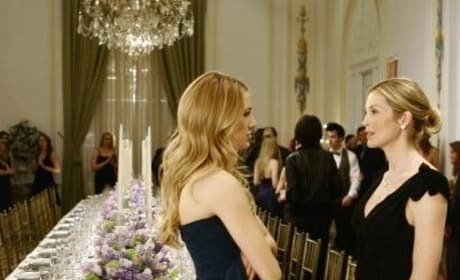 In this photo from "Woman on the Verge," from the first season of Gossip Girl, Lily and Serena van der Woodsen have it out at the rehearsal dinner for Lily and Bart.